Happy Wednesday everyone! I have a layout using the newest collection by Heartfelt Creations-Flowering Dogwood Collection to share with you today! Trim two 4"x6" pattern papers and two pre-printed tags from the Flowering Dogwood Paper Collection and distress the edges. 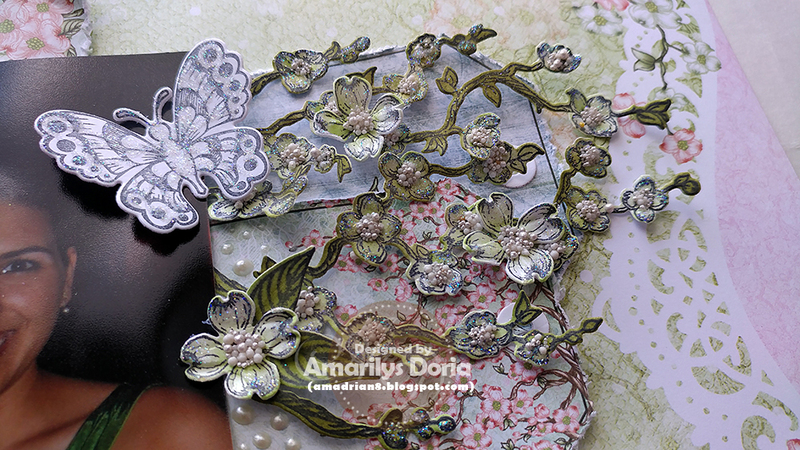 Die cut a border from the Fleur Border Basics Die on white cardstock and mat a pre-printed strip of pattern paper over it. Add these layers on a 12"x12" sheet of pattern paper. Add your photo over it. Stamp the dogwood flowers, leaves, branch and butterflies on white cardstock. 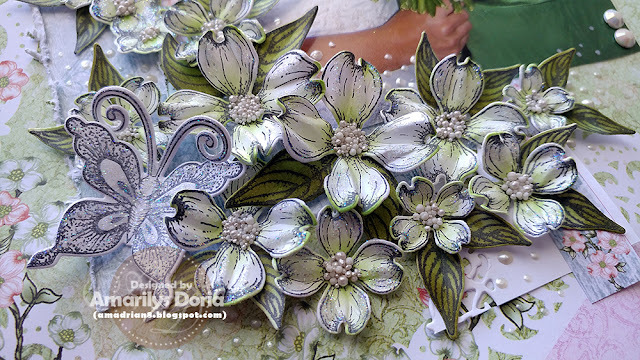 Die cut using their matching die and ink the flowers and leaves in green to give them a little bit of color. Shape the flowers and add Minnie Pearl Prills to their center. Add glitter to everything and set aside to dry. Once dry, add flower cluster to bottom left corner and top right corner of picture. 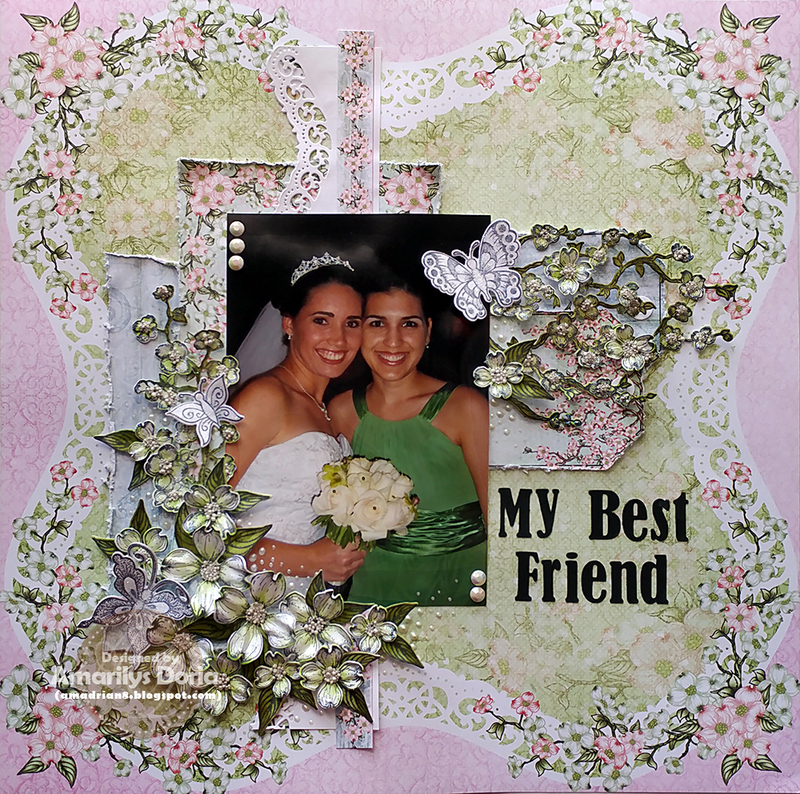 Add large Want 2 Scrap pearls to opposite photo corners and liquid pearls to the clusters. Finish by adding a title to the layout. Thanks for stopping by! 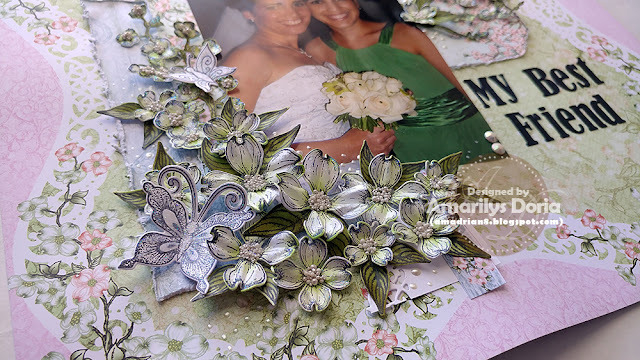 Remember to go to the Heartfelt Creations BLOG and check out what the other designers made this week! Have a great rest of the week! This is a gorgeous layout! Hope you are beginning to get some strength back after the delivery of your sweet little one! Your layout is just gorgeous! So glad your little bundle of joy arrived safe and sound!